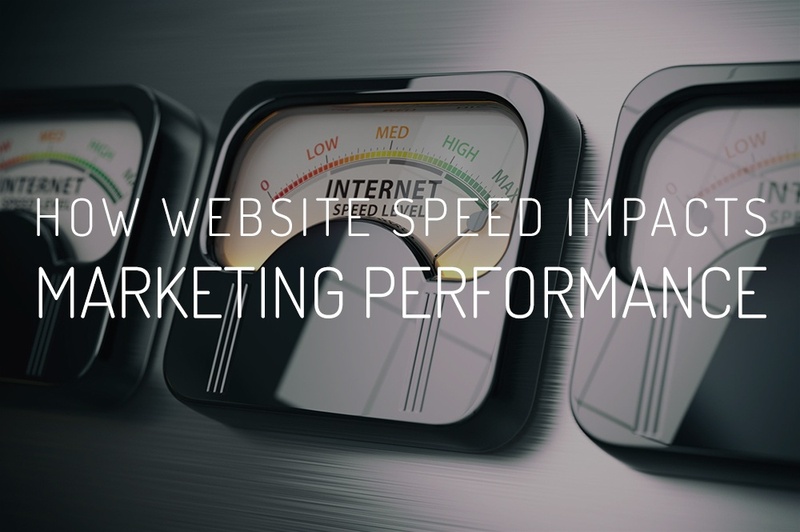 Did you know that the speed of your website impacts your online marketing? If not, then it is something you should be paying attention to. Google is even helping marketers and webmasters alike understand its impact as well as ways to improve it. Not only will a website with slow load time cause user experience issues for its site visitors but it also runs the risk of being ranked below its competition (if they have a better page or overall website speed). In this blog post, we explore major ways that website speed can impact your internet marketing performance as well as a few tips on how to improve your site speed. First and foremost, a website that loads slowly is hurting its users' experience on the website. According to a study shared by Kissmetrics, the slower a website loads, the more likely a user will abandon the website altogether. Their study shows that a page that takes 4 seconds to load loses 25% of its users. For websites that include an ecommerce element, for every 3 seconds a website shopper waits for a page to load, customer satisfaction decreases by 16%. The bottom line is that a website that is slow to load is frustrating and, depending on that actions the user wants to take, they may lose trust in your website and brand for helping them complete a task. Secondly, the big one for internet marketers, a slow website can make your SEO (how well your site is indexed in the search engine) take a major hit. In 2010, Google formally announced that website speed would be an official ranking factor. Google tends to be a bit vague so they didn’t specify exact speeds or how much weight the speed factor would carry. However, in the past seven years since that announcement we’ve come to find out that it still doesn’t outweigh content (big surprise there!) and other factors, most likely things like backlinks, mobile friendliness, domain age, etc. Meaning that if you’re good on those kinds of things but your site is a bit slow, you’ll most likely still be appropriately positioned on the search engine results pages (SERPs). Last, and certainly not the least, a slow website can cause missed opportunities to increase your business revenue. From the same study that Kissmetrics shared, “A 1 second delay in page response can result in a 7% reduction in conversions.” They use the example that if an ecommerce website is making $100,000 per day, a 1 second page delay could potentially cost $2.5 million in lost sales every year. At first, 7% doesn’t seem like it could be much, but, depending on how much your online revenue is, it could make a huge impact if that was a missed opportunity. Back in 2010, Moz began researching and testing to understand how much of a role pagespeed played as a ranking signal. Their results showed that website’s back-end performance versus front end was directly impacting search engine ranking. They found that the use of CDNs (Content Delivery Network), optimized application code, optimized database queries, and a fast web server all helped to ensure the back-end performance runs as efficiently as possible. All of these recommendations can now be found as top tips for running a quick website. Google has a free tool called “PageSpeed Insights” where you can plug in any URL and Google will run a review (both mobile and desktop) and offer initiatives to improve that particular page’s speed. As we know, Google Analytics is a free tool that offers a ton of granular website data. Included in their analytic tool is a User Behavior Report called Speed Suggestions where you can see view each page by number of pageviews, average load time, a PageSpeed Score (the score is a value that shows the extent to which speed can be improved), and links directly to Google’s listing of PageSpeed Suggestions. Ensure your code isn’t bloated and validates well with a free tool like W3C Validator. Monitor your site health using Google Search Console / Google Webmaster Tools and Bing Webmaster Tools and follow each platform’s recommendations to improve the website. If you’re using a CMS like WordPress, this also means keeping tabs on updating your plugins or, if it’s a poorly coded plugin to begin with, your best bet may be to swap it out with a plugin that is coded better (read plugin reviews and run speed tests before and after installation!). There are a ton of resources online that offer even more technical ways to improve your website speed. I’d like to close this blog by saying “Man, we’ve come a long way!” Let's remember the “good ole days” when you would plop down in front of your computer and with the click of a button, you would hear the beep beep beep of the dial, the whirring sound of modems negotiating, the waiting static and fuzz, and finally, the high pitched screech of connection. That whole process of waiting while listening to a sound, thankfully endangered to modern day technology, would take thirty seconds or so. It’s hard to believe we’ve come so far so quickly (now we're talking about losing revenue by the second!) and I’m sure it’s not over yet! Let's hold onto our hats and enjoy the ride!